Community is important at Jacob's Ladder. It's one of our core values. We're a community of supportive peers and partners focused on the community of residents who come to Jacob's Ladder to heal. Click through the images below to learn more about our caring recovery support specialists. ​The son of a coal miner, Kevin grew up in a small town in southern West Virginia. After graduating from high school, Kevin joined the U.S. Army to serve his country. After military service, Dr. Blankenship earned degrees in pharmacy and medicine and went on to complete his emergency medicine residency at West Virginia University. He became board certified in emergency medicine and worked in numerous medical settings throughout West Virginia. In 2014 an immediate family crisis with addiction brought Kevin face-to-face with the significant issue of this growing epidemic and the lack of recovery options throughout our country. Inspired by this experience, Dr. Blankenship has dedicated himself professionally to being part of the solution through directly serving the recovery industry and indirectly combating the stigma surrounding this issue in today's society. This dedication is what has become Jacob's Ladder. Originally from Benton Harbor, Michigan, Brandhi proudly served in the U.S. Army traveling abroad with significant time spent in Korea and Germany. As a songwriter and musician, he has published two musical projects, the last of which was an innovative project where he recorded 10 songs and painted a series of oil paintings inspired by the tracks. Those works have been displayed in London, England, and Barcelona, Spain. 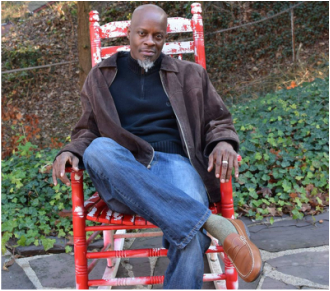 Brandhi received a life coaching certification in 2014 and has always believed that music possesses healing qualities and that it is the universal language of the human race. Brandhi is currently pursuing a music therapy degree at West Virginia University in Morgantown, WV, where he lives with his wife and their four children. it. Quite the contrary. There is ENDLESS and BOUNTIFUL strength in the vulnerability of LOVE. Chad earned his Bachelor of Science in Physical Education from West Virginia University in 2000 and an Associate’s Degree in Criminal Justice from Glenville State College in 2014. Chad spent time early in his career coaching women’s basketball and softball at Waynesburg College and then as head assistant coach of men’s basketball at Potomac State College. Chad has spent much of his career helping others. 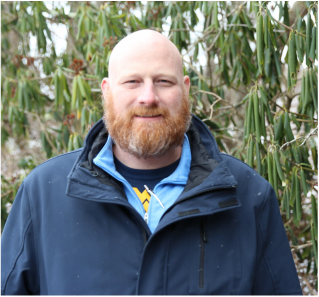 For the past decade, Chad has worked for West Virginia Department of Juvenile Services at the Kenneth “Honey” Rubenstein Juvenile Center (KHRC) in Davis, WV. When he started out with KHRC, he was a counselor and was quickly promoted to case manager. While with KHRC, he earned his certification in Therapeutic Recreation for High and Low Ropes Courses and various counseling techniques. ​Chad’s natural leadership skills and commitment to others extends beyond professional contributions and also shows through his volunteerism within his community and county. He is currently a chair for Preston County Parks and Recreation Commission, Aurora Middle School Girls’ Basketball Coach, and President of the Aurora Youth League. Chad uses his leadership and interpersonal skills to help motivate others to be productive members of society. Chad is a native of Aurora, WV, where he lives with his wife and two daughters. Mark and his family are the fantastic folks from Brookside Farm who have committed their time and resources to the Jacob’s Ladder mission. Mark has a history degree from Bucknell University and has worked a variety of positions since returning home to the farm after graduation. He’s a licensed real estate agent in Maryland and West Virginia and spent time working in a cabinet shop operating machinery and managing purchasing functions. 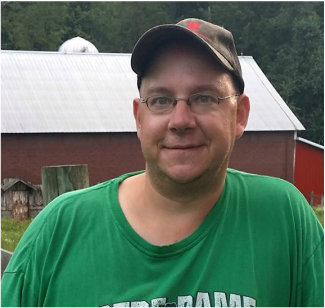 ​Mark has an impressive history with 4-H at the local, county, state and national levels having been involved since he was nine years old; he still holds the Preston County 4-H record for stuffing 31 marshmallows in his mouth all at one time! Mark lives on Brookside Farm with his wife and son. When he’s not busy on the farm, he enjoys golfing, singing in a local men’s group and gardening. Susie is a licensed psychologist, LPC, AADC/CCS, MAC and certified addictions counselor. Susie has recently assumed the role of Program Director at Jacob’s Ladder at Brookside Farm and was most recently the Interim Director of the Office of Drug Control Policy at WV DHHR. She was previously the Director of Operations for the Association of Recovery in Higher Education after going to WVU to help start their collegiate recovery program during which time she was the Mid-Atlantic Region Representative for the Association of Recovery in Higher Education. Susie has been working in the mental health and SUD field for over 27 years working in all sectors of the continuum of care. She has also been a part of the Randolph County Drug Court Advisory team and has a small private practice/consulting business Mullens Advocacy & Psychological Services LLC. Teaching experience includes adjunct positions at Fairmont State, Marshall Graduate School and Davis & Elkins College. She served WVAADC previously as co-chair and chair of the conference for many years and was president from 2011-2013. Awards include the WVAADC President’s Award in 2008, Russ Taylor Advocacy Award in 2017 and Lisa Grossi Award in 2013 from the WVCBAPP on which she served as the first Peer Representative as that credential was being adopted. She serves on the NAADAC Veterans Subcommittee. James “Wolf” Yoxall, MA/BA better known as Wolf was born and raised in Canada and spent a number of years in the Yukon Territories with the Tlingit and Gwich’in First Peoples. After moving to the US, Wolf lived and studied with a number of Native Elders from various traditions and uses this knowledge to help in the healing process of individuals struggling with addiction and other ailments that stops a person from living a full and happy lifestyle. 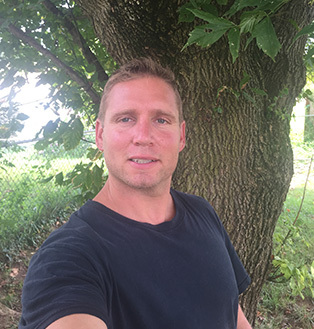 ​Certified as a Spiritual Counselor, outdoor educator, martial artist, and Ordained Minister, Wolf brings to Jacob’s Ladder 12 years of residential treatment experience. Wolf previously served as an adjunct professor at Mary Baldwin College in Virginia, teaching in the fields of world religions and Chinese history. Wolf was the Founder and Spiritual Director of The Center of Truth and Vision, a spiritual retreat center located in the heart of the Shenandoah Valley and the Regional Director of an intensive in-home counseling agency. 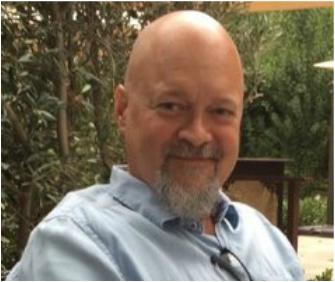 He is a published author and was the assistant editor for “The Virginia Review of Asian Studies.” Wolf also spent time studying Buddhism and Taoism while living in China and brings his experiences from these other cultures into the journey of recovery. Ben’s hometown is Waconia, Minnesota, and he made the trek to West Virginia to be part of the special team at Jacob’s Ladder. Ben has prior experience as a live-in Sober House Manager and possesses certifications in Diversity Training, Naloxone Training, as well as First Aid and CPR. 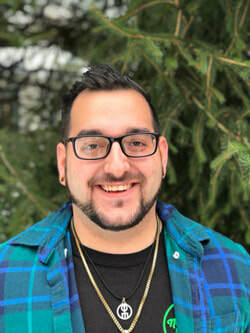 Benjamin's experience working a 12 step program in recovery has brought about a passion to help other young adults interested in recovering from drug and alcohol addictions. He brings a positive attitude to a sometimes difficult situation, and is always exhibiting a caring demeanor around the newest members of this program. Originally from Enterprise, West Virginia, James and his family are successful business operators including multiple restaurants and convenience stores. James is actively working a 12 step recovery program and enjoys weightlifting, outdoor activities and cooking. Eric is from Morgantown West Virginia where he graduated University High School before pursuing studies at WVU. Eric has been committed to working a 12 step program of recovery in his life. Eric enjoys CrossFit, sports, eating healthy and spending time with family and friends. He maintains a personal mantra that the amount of energy or work put into recovery, work, family or any other effort has a direct correlation to what results can be expected. Today I choose to live in the solution, not the problem. Originally from Clarksburg, WV, Ricky is a graduate of Liberty High School. He obtained an associate's degree in business and marketing from WVJC, and personally graduated from the Jacob's Ladder program. He actively works a 12 step recovery program in his life. He also works part time for his family's businesses. His hobbies include golf, basketball, running, and cooking. "Winners and losers aren't born, they are the products of how they think." Mike resides in Canaan Valley, WV. He is married, has two children, and considers himself to be a true “family man”. Mike says he was brought up in a home grounded in strong moral values, and strives to continue those same values in his own home and every aspect of life. Before coming to Jacob’s Ladder, Mike was employed at the Kenneth “Honey” Rubenstein Juvenile Center where he also obtained an Associate’s Degree in Criminal Justice. Mike said he devoted the majority of his time employed there to helping young men deal with problems and work through troubled times. In his free time, Mike likes to enjoy things that motivate and inspire him. He is a firm believer that being exposed to positive things brings forth positive thinking and positive actions. Tim is originally from York, PA where he worked in welding, machining, and as a cycle mechanic for the Harley Davidson Motor Company. In pursuit of a life and career change, he moved to Davis WV. In Davis, he enjoys the great outdoors. Music, whitewater kayaking, snowboarding, and mountain biking are his favorite pastimes. Tim's favorite slogan is "If nothing changes, nothing changes." Elias (Eli) earned his Bachelors Degree in Social Work from West Virginia University in May of 2014 and then earned his Masters in Social Work from West Virginia University in May of 2016. Eli has gained experience through Valley Healthcare Systems, Hazelton Penitentiary, WVU’s Carruth Center, and the WV Suicide Prevention Board. He has also gained experience through Mountain Laurel Medical Center in MD as a Behavioral Health Consultant. Eli has always enjoyed being involved with local communities and assisting those in need who reside in them. He has volunteered with numerous events through his job as an on-air personality, has volunteered at Health Right in Morgantown, and has also assisted with numerous soup kitchens and food pantries. 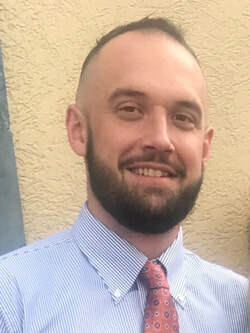 Eli enjoys utilizing Motivational Interviewing and Cognitive Behavioral Therapy in his practice while also utilizing guided meditation techniques. Eli Currently resides in Bruceton Mills with girlfriend, two cats, and his wolf-hybrid (yes a wolf) named Timber who visits residents from time to time. ​Jake is from Morgantown, WV. He currently is enrolled at West Virginia University studying Psychology with the intent of becoming a Behavior Analyst. He plans to finish his master's here in WV and pursue a career in addiction recovery. Jake enjoys spending time playing racquetball, exercise, video gaming, and meeting new people. Upon completing our 6-month program, Jake relocated to Morgantown where he resides today. He is an active member of a 12-step fellowship and is part of the Jacob's Ladder Alumni Association. He has completed a recovery coach course and is in the process of taking the test to become nationally certified. He is also a student at WVU and is working on his Bachelor’s Degree. He intends to attend grad school to earn a Master’s in Clinical Rehabilitation and Mental Health Counseling. Jordan is a West Virginia native who grew up in Morgantown. He is a graduate of Morgantown High School where he participated in extracurricular activities such as Lacrosse and Soccer. After graduating, Jordan went to WVU and developed a substance use disorder which led him on his journey for treatment. After many attempts at getting clean and experiencing different types of treatment centers, he found Jacob's Ladder and committed to the six-month program. Upon graduation, he made a commitment to continuing his chosen recovery pathway and found a passion in helping others seeking recovery. Jordan is in the process of becoming a certified Peer Recovery Coach and an active member of the recovery community in West Virginia. Jerrica Blankenship is originally from Morgantown, WV. She studied dance at the University of the Arts in Philadelphia where she graduated with a BFA and the prestigious Stella Moore Award in 2012. 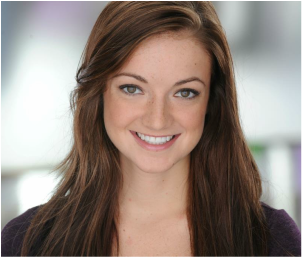 Since graduating, Jerrica has toured with several dance companies, most notably with the Radio City Christmas Spectacular for the 2012-2013 season and world tours with MOMIX from 2013-2016. Alongside dance, Jerrica has been practicing yoga since early high school. She completed her yoga teacher training at the Yandara Yoga Institute in Baja, Mexico. While there, she studied asana practice, pranayama, meditation, anatomy, yogic philosophy, life style and more in an intensive immersion program. Through a personal family exposure to addiction, Jerrica found a passion for helping others in recovery and feels blessed to be able to do so. She also loves traveling, experiencing other cultures, snorkeling, and her cat, Milly.